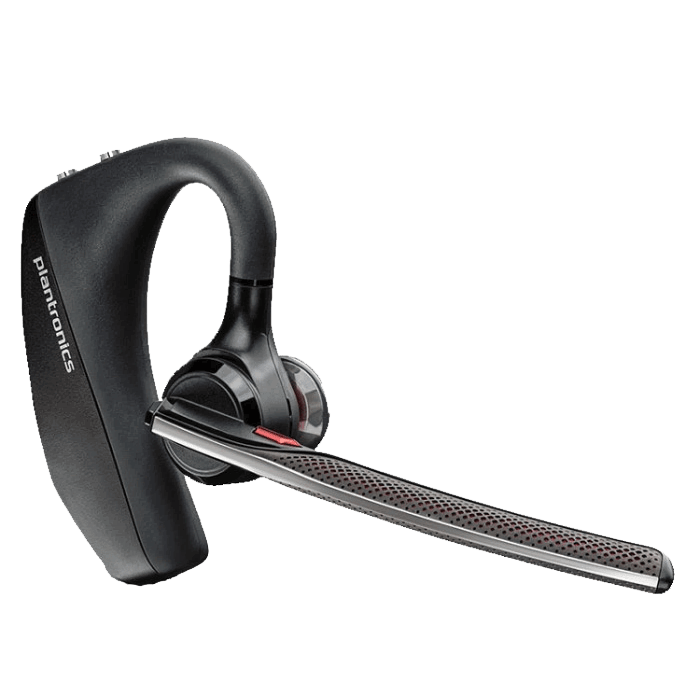 Plantronics Voyager 5200 UC Headset - Headsets Direct, Inc. 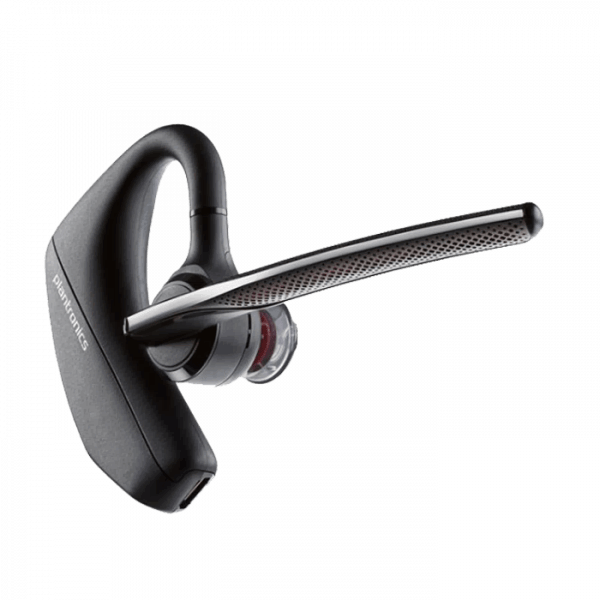 If you require a headset that’s versatile, the Voyager 5200 UC Bluetooth headset should be at the top of your list. First, it’s the next generation of Voyager headsets that have been very popular for mobile phone use. 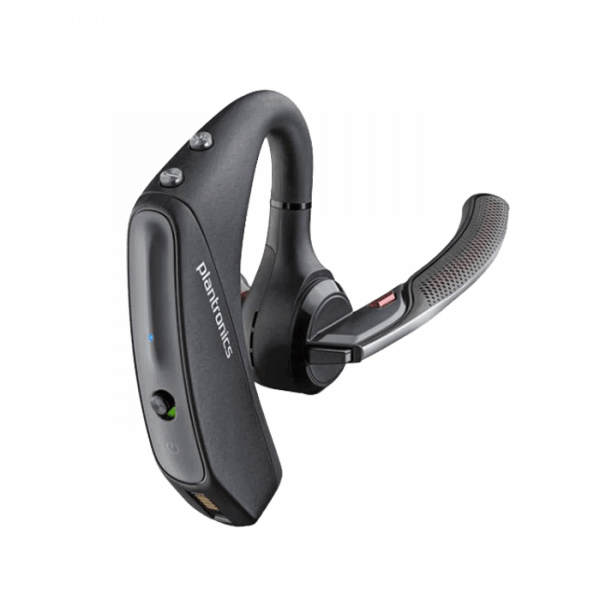 Each generation improves on past success, and this UC Bluetooth headset further improves quality and functionality. 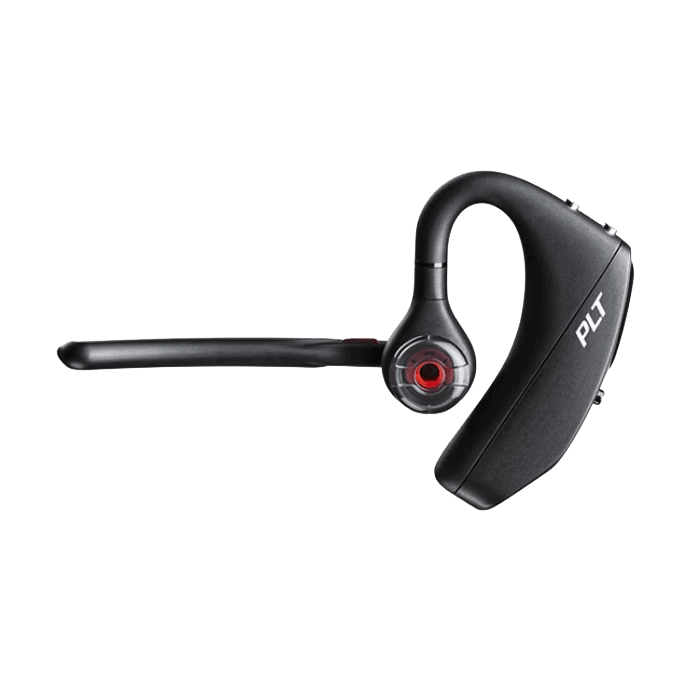 With four microphones, it’s an excellent headset for outside use in noisy environments, when you encounter traffic noise and wind whistling by. Your callers will hear you clearly with a mic that recognizes your voice and cuts down background noise and chatter. With different sized ear gels, you will find the perfect fit providing all day comfort while also sealing out noise, so you can also hear clearly. 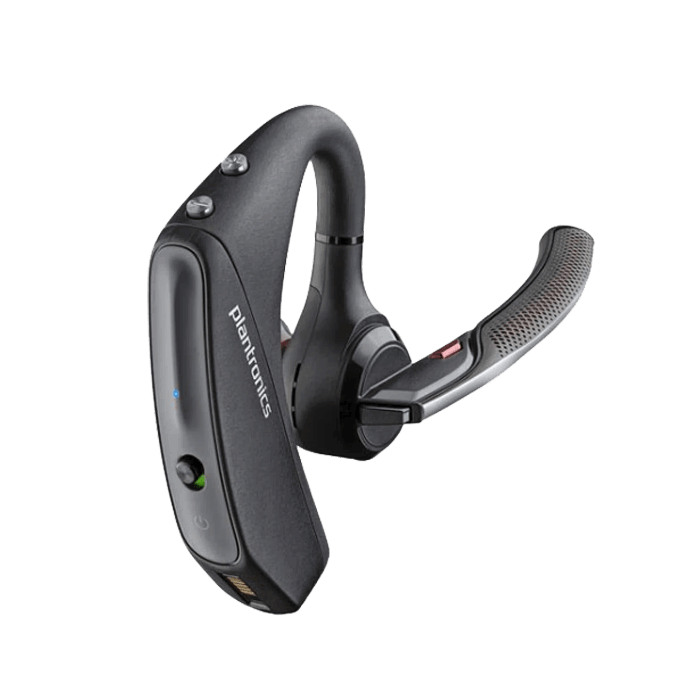 The Voyager 5200 stays securely on your ear as you walk about, with the bulk of the headset fitting behind your ear, making it very low profile and non-distracting during face-to-face conversations. 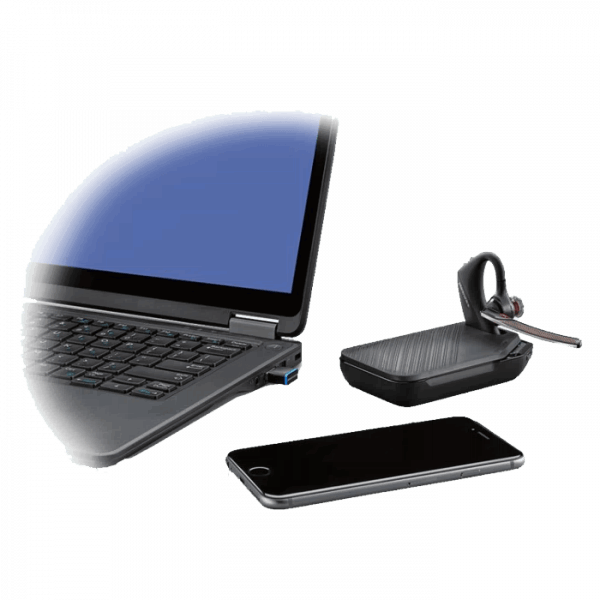 What makes the Voyager 5200 UC Bluetooth headset so versatile is that it’s also computer ready with an included USB dongle. 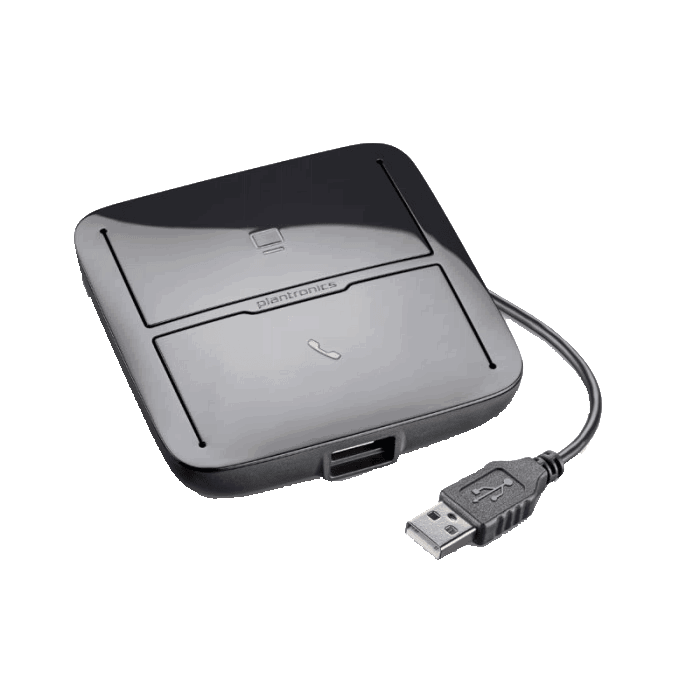 This allows it to double as your perfect unified communications headset for VoIP/softphone applications through your PC or MAC. 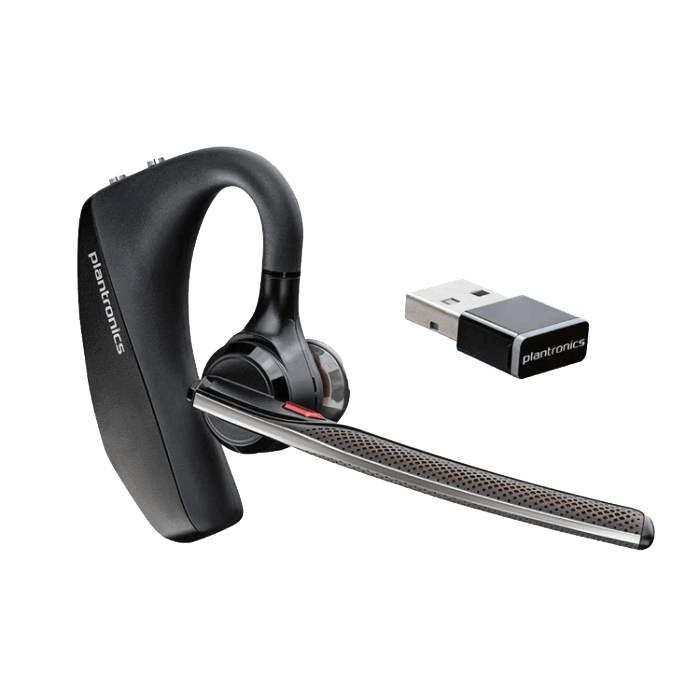 As more businesses move to VoIP softphones, this UC Bluetooth headset connects easily with just under 100 feet of range to roam your office while continuing your conversation. For office workers, this means one headset covers your mobile phone and PC requirements. That means fewer cables, charging, and devices to mess with. This also makes your life easy when on the road. 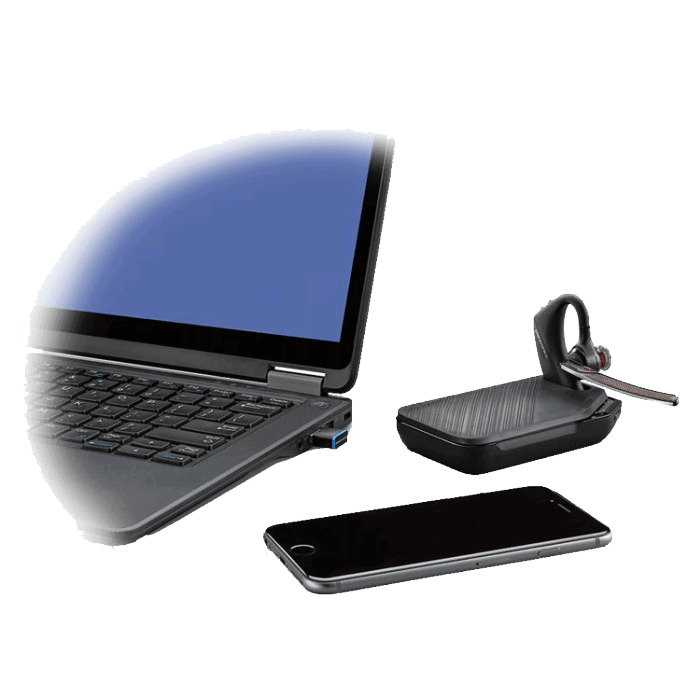 Your Voyager 5200 UC Bluetooth headset travels with you and acts as your mobile headset or PC softphone headset as you change between devices. 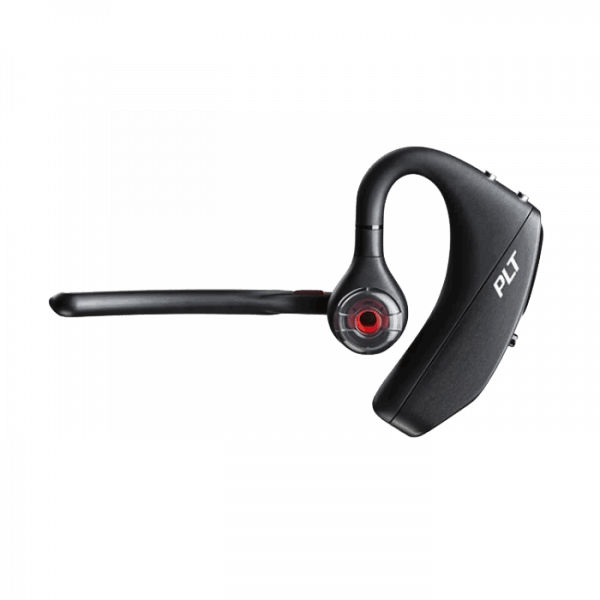 With seven hours of talk time, the Plantronics 5200 UC Bluetooth headset will get you through the busiest of days. It also has a unique carry case that protects your headset when traveling, but also charges the headset as an added bonus. This gives you great piece of mind that you’ll never be without your headset. 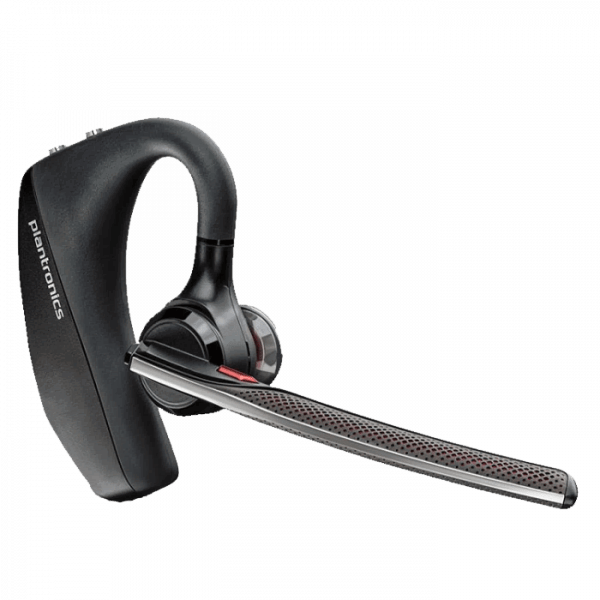 Unified communications is simplifying how we do business, and with the Voyager 5200, you’ll take another step in simplifying your devices while adding a great sounding, productivity boosting headset. 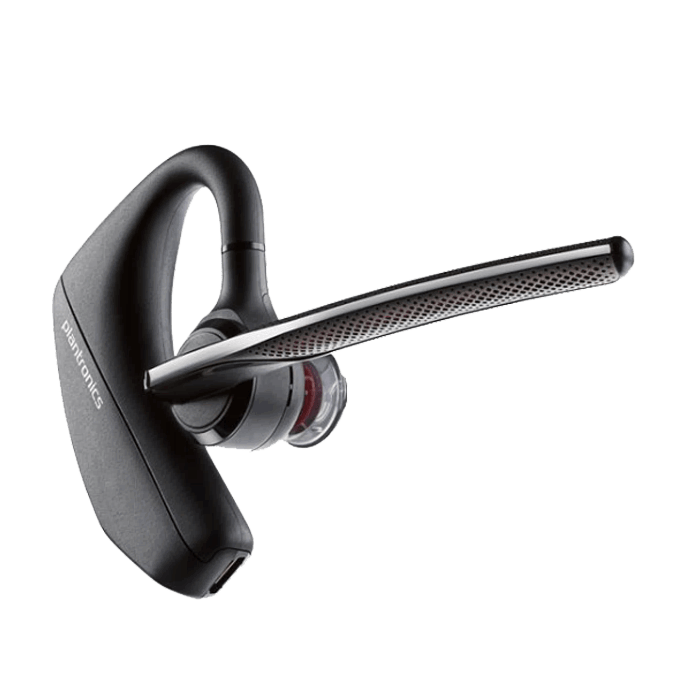 From the bustling city streets to the corner cafe, you’ll be heard clearly with the Plantronics Voyager 5200 UC Bluetooth® headset. Our exclusive WindSmart® technology and cutting edge noise cancelling block out distractions like wind, chatter, and traffic, for crisp, uninterrupted calls. Designed for non-stop days, every detail simplifies mobile communications, from caller ID, to voice control, to smart audio routing. 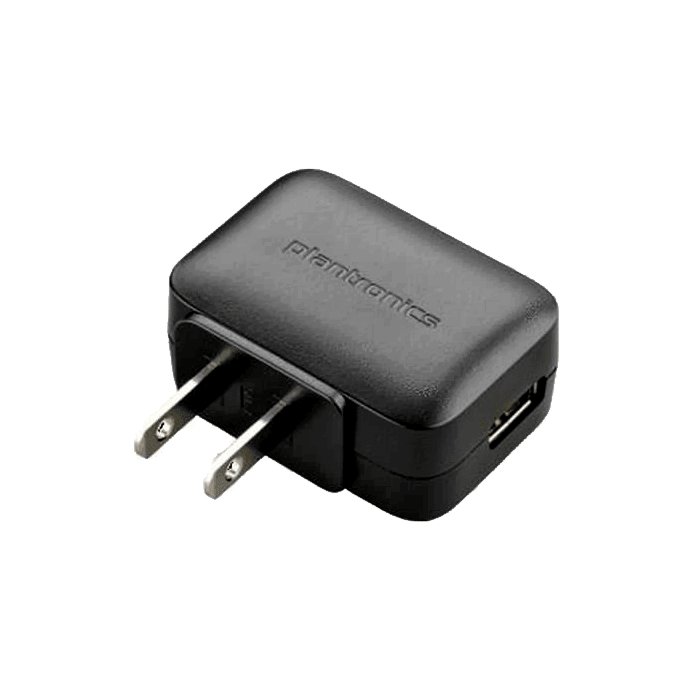 Its rigorously tested ergonomic design ensures all-day comfort, and the optional portable charging case with integrated docking stand offers up to 14 extra hours of power. This headset is just what I was looking for. High quality and easy-to-use. Simple instructions to pair up with my computer and cell phone. Definitely a good choice. Great service through Headsets Direct!!! I order an Bluetooth ear piece to connect to my online phone system. Trying to pair it to my phone and computer and having a bit of trouble succeeding but plan on calling my phone carrier for help. Have bought future products in the past and have always been pleased with my purchase. This headset does exactly what I needed. It makes my voice crystal clear for people on the other side of the call. It greatly suppresses all noise except my voice. The battery life is long. The portable storage unit is also a charging unit, making it versatile. I was hesitant to spend the money, based on my experience with less expensive devices from other manufacturers. This one was recommended by a colleague, and I’m so glad that I bought it. The design changes on this model have all been a dramatic improvement, including the case / charger device. You can also charge the headset directly with a micro USB cable instead of the funky magnetic connector from before. Product gets (4) stars as the range really isn’t improved, or to the lengths specified. I have owned the Voyager Pro HD, the Voyager Legend and now the Voyager 5200. Each model just keeps getting better! The battery life and fit are the same as the Voyager Legend (Excellent and comfortable). 1. The Digital Speech Processor and voice are far superior and clearer. 2. The noise cancelling is definitely improved upon from the Voyager Legend. I have talked on my phone outside in the wind and haven’t had ONE COMPLAINT yet from the caller on the other end. 3. The Overall sound quality is better and clearer! I also bought the charging case/dock for the Voyager 5200 and it works great. I like that it is a 2-in-1 charger. 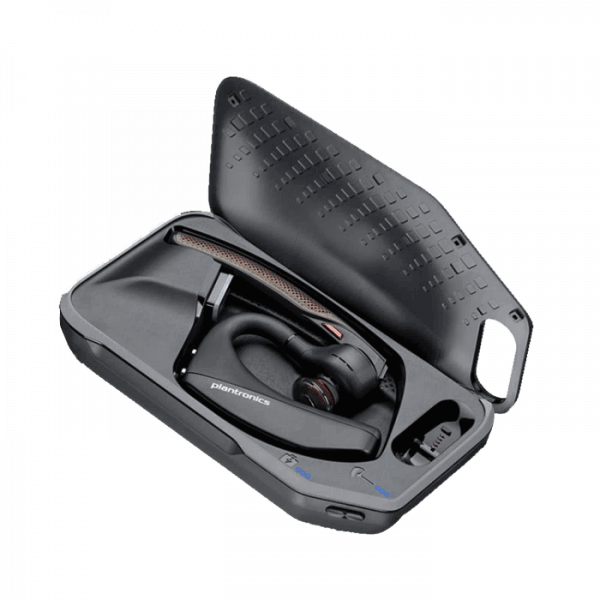 The headset can be charged inside the case for portability and it can also sit on top of the case and be conveniently be charged on your desk, table or whatever. I CANNOT think of 1 flaw or bad thing about the Voyager 5200!